Want to add a personal touch to your garden or nursery? 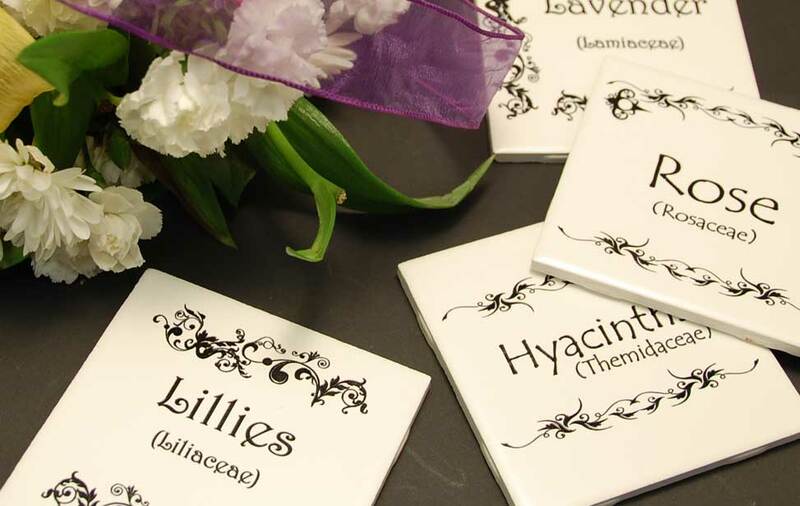 These hardy ceramic tile markers are a great way to bring some personal style to your garden space as well as mark all the lovely plants you grow! Featuring a sharp contrast of black and white, these laserable tiles engrave beautifully and add a wonderful, personal touch to any space. Creative tip: Why stop at garden markers? This idea can be adjusted for lots of purposes like customizing a back splash, creating a memorial or photo engraving, or etch a special commemorative design to mark a special event or milestone! 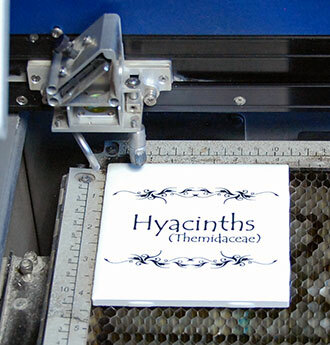 Laser engraved garden tiles provide a nice addition to any garden. These are easy to set up one at a time in the corner, or fill up the table. The LaserTile product provides a beautiful black mark on the tiles. 4.25" x 4.25" laserable tiles, available from LaserTile. 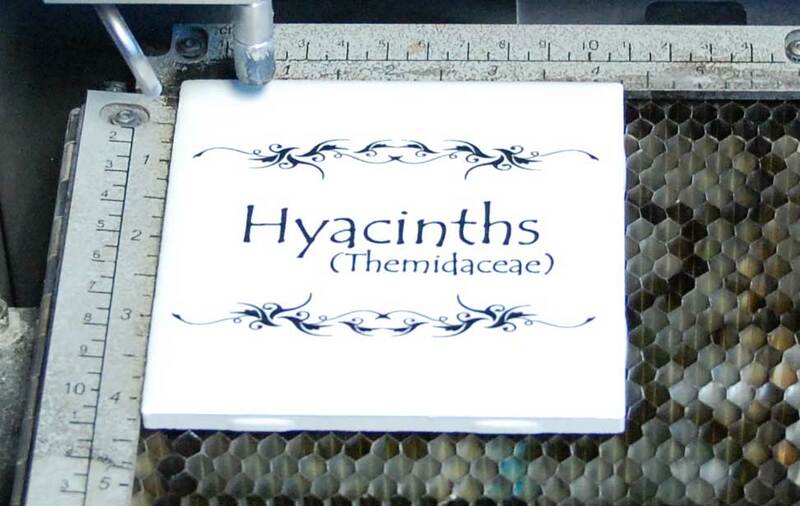 Note:If you don't have laser-specific tiles, you can achieve a similar look with other ceramic tile by masking the piece with tape and then using a colorfill to fill the engraving. This is a great solution if you have extra tile laying about from a previous project. Visit our Technical LIbrary to learn more about the colorfill process. 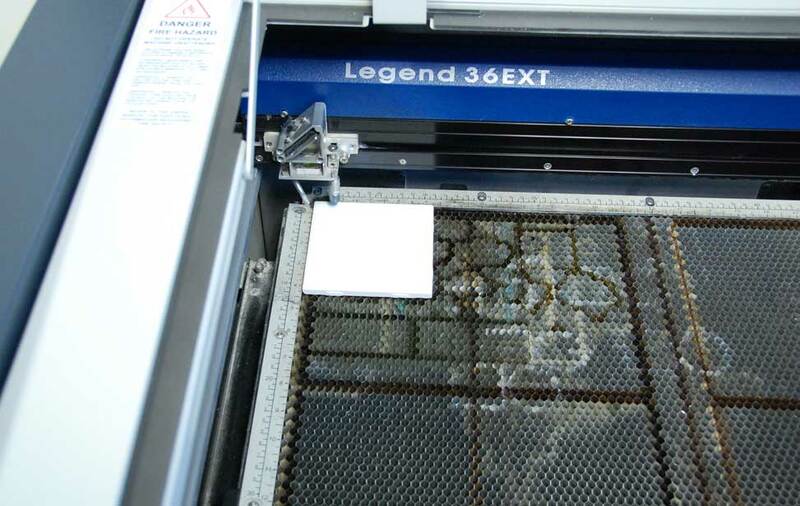 Place the tile in the laser, send the job, press GO and you're all set!